On Friday, the winners to the resident choice awards were announced; congratulations to those who won in their respective categories. While some controversy surrounded the award (much like EVERY SINGLE Second Life award) its the most effectively ran award available, mainly because Linden Lab was the organizer. 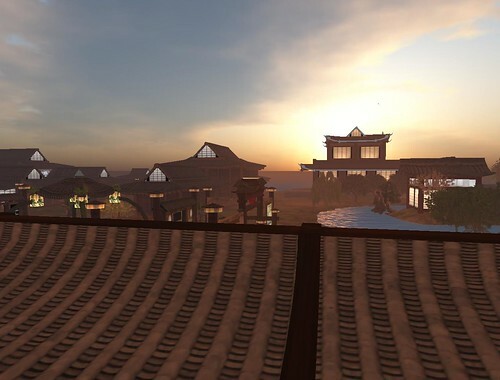 Unlike others, Linden Lab was able to make sure every resident knew about it, was able to tap into their large marketing pipes to the Second Life community, had mechanisms to prevent cheating and had an incentive for voting. 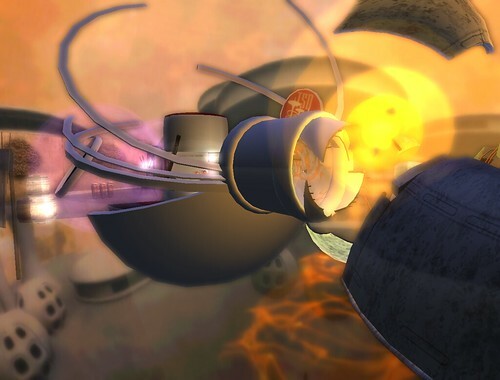 Winning the Resident Choice Award provides a huge deal of marketing within Second Life and to the outside world. The Resident Choice Awards is no different than the Emmy’s, Oscars, Golden Globes, and Viewer Choice Awards; to an extent they are all popularity contests, not everyone is going to agree on a winner, and there’s always going to be fallout. The onus in SL is often put squarely on the musician to create a show worth returning to over and over again but, in my theory no amount of bells and whistles can in reality, or virtual reality create a situation where the same audience would WANT to keep comming back to see the same act or variations of it over and over again….In RL we musicians move around…for good reason unless you are, or want to be background music, al la the Piano Man in your local bar…you need to change audiences and spread the love. There’s some truth in this statement. In the “real world” musicians, DJ’s and event hosts are responsible for the success of an event by how it is executed and a legitimate expectation. Events must be worth attending, even for the simplest reasons. There are other factors, one of the big ones is the lack of event promotion tools. I had the opportunity to visit MadPea Productions new game, The Kaaos Effect, which is sponsored by Orange. The concept of the game is interesting, something "wrong" happened with the space time continuum and you need to travel throughout time and solve puzzles to help fix it. Paired with a HUD and Armband, you travel randomly through several time periods, discovering clues and pieces of equipment in order to determine what may have gone wrong. SLCC 2009 is ready for liftoff! The Second Life Community Convention is ready for it’s 5th year. This year’s SLCC is going to be in San Francisco on August 13th to August 16th, 2009 at the Westin St. Francis Hotel! Registration opened last week with content prices starting at $135 for the first 200 registrants (lower than any year’s registration) and hotel room rates starting at $159 with free wi-fi in each guest room! To register for this year’s SLCC visit the SLCC Registration Page. On the organization side (I am a convention organizer) things are becoming very exciting, with a lot of news coming in the next few days. For those interested in sponsoring visit the sponsorship page and for those interested in volunteering check out the volunteering page. Also keep up to date on the latest convention news through the SLCC Discussion Google Group and the SLCC Twitter Account. I’m really excited to see what is going to evolve in in San Fran for this year! For additional, up to date information about the convention, visit slconvention.org. Linden Lab’s upcoming change for Adult Content in Second Life is not particularly shocking or new. Years ago there were rumors of an ‘adult’ grid similar to that of the teen grid. There’s always been a struggle in the handling of adult content within Second Life and has been the target of press coverage and politician’s questions. This change for adult content doesn’t surprise or upset me, nor should it surprise or upset anyone else. I believe it’s a move to align with the rest of the Internet and the rules, laws and regulations that exist for everyone else.